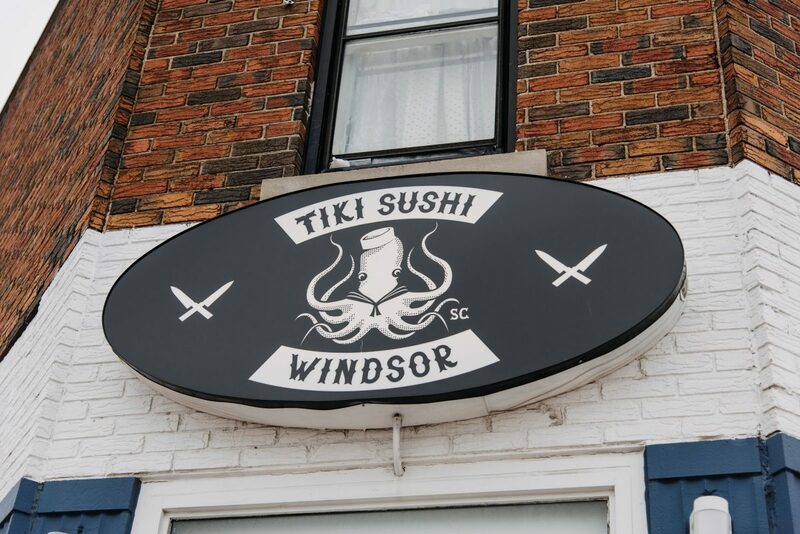 Consistently voted one of the best chefs in the city, Red Seal certified, with 18 years experience and featured on Chopped Canada, Tiki Sushi’s Ted Dimoglou set-up shop on the Erie Street roundabout 4 years ago and has been celebrating seafood with his Mediterranean inspired raw bar, ever since. 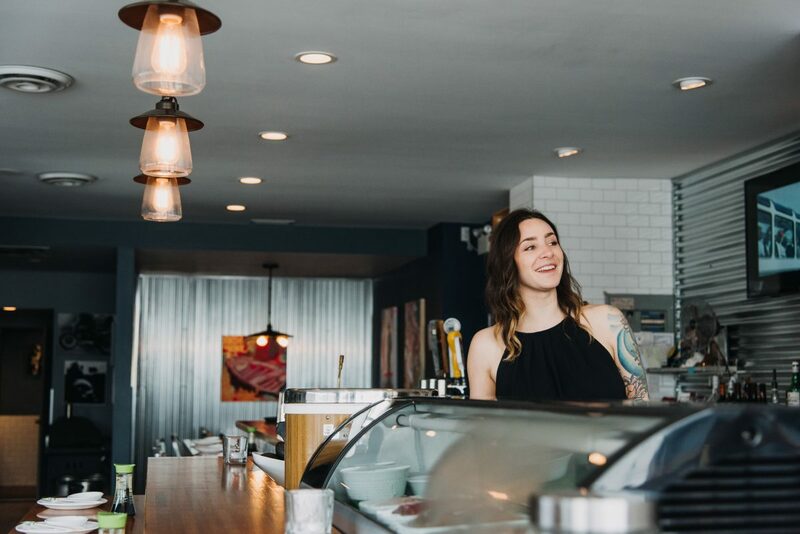 At 18, straight out of high school, Ted began his culinary journey with a job washing dishes at a local restaurant. 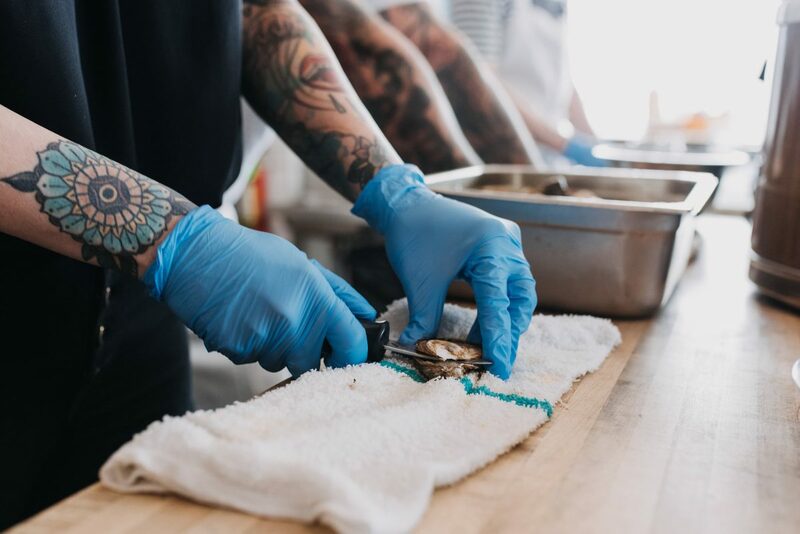 From there, he worked in Chicago under the Japanese-French chef, Takashi Yagihashi and under chef Claudio Aprile (one of the judges for Master Chef with some of the best restaurants in Canada) at Toronto’s Sen5es. 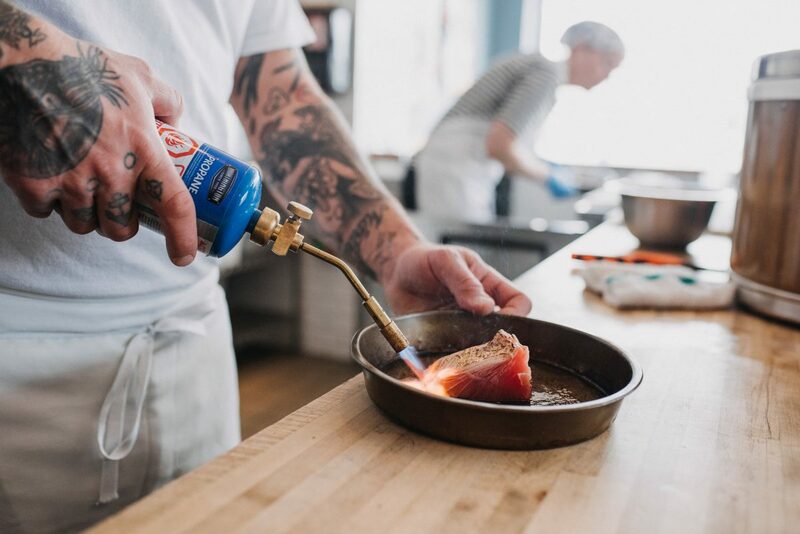 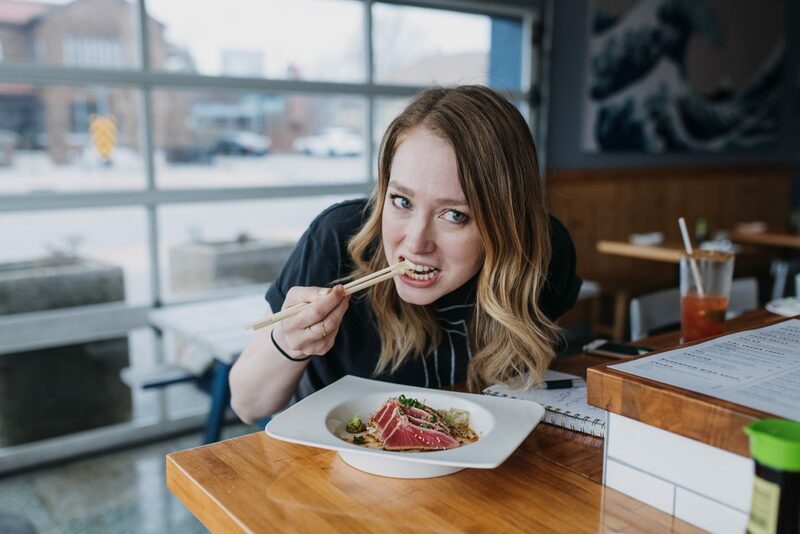 After moving back to Windsor, he shook up the scene with his American take on traditional sushi landing him head chef positions at some of the city’s most renowned restaurants. 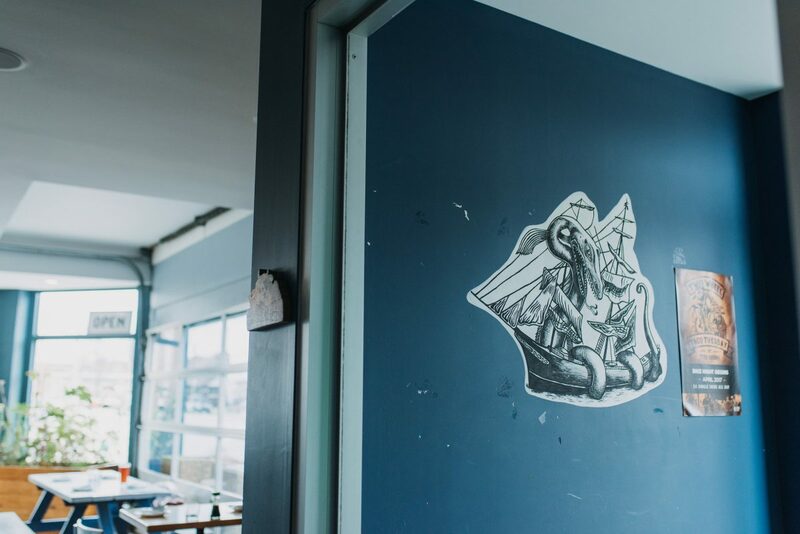 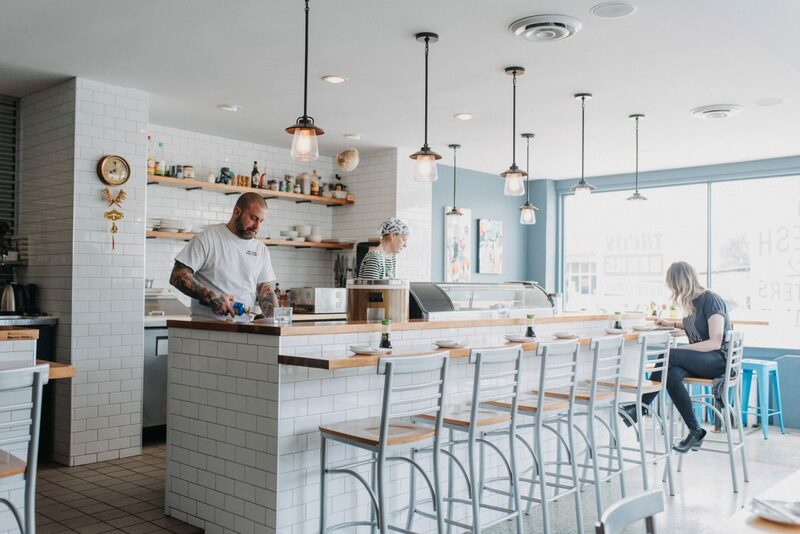 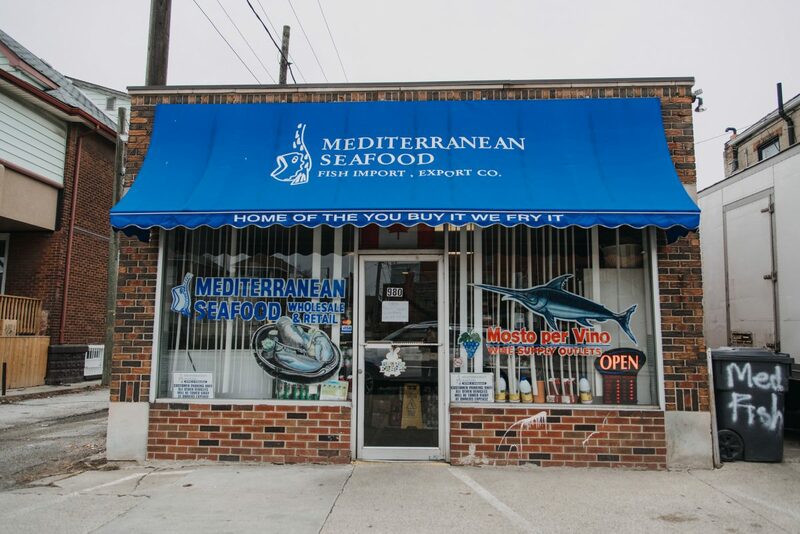 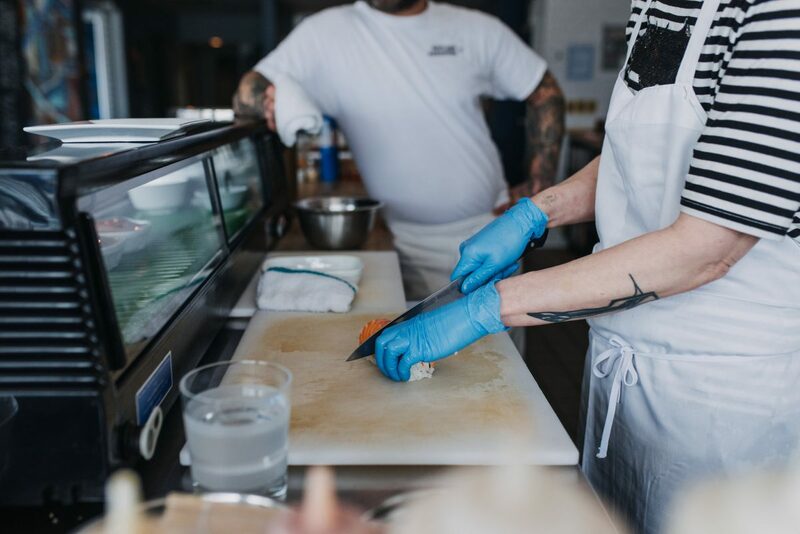 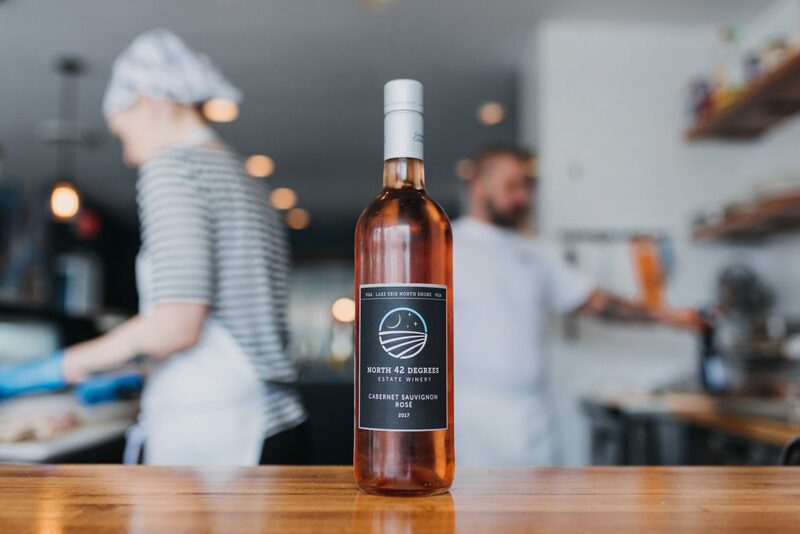 Being located next to Windsor’s only fishmonger, Mediterranean Seafood, affords Tiki access to the freshest catches (35 years and going strong, this fishmonger is another hidden gem we frequent) and Ted has been buying from them for 20 years. 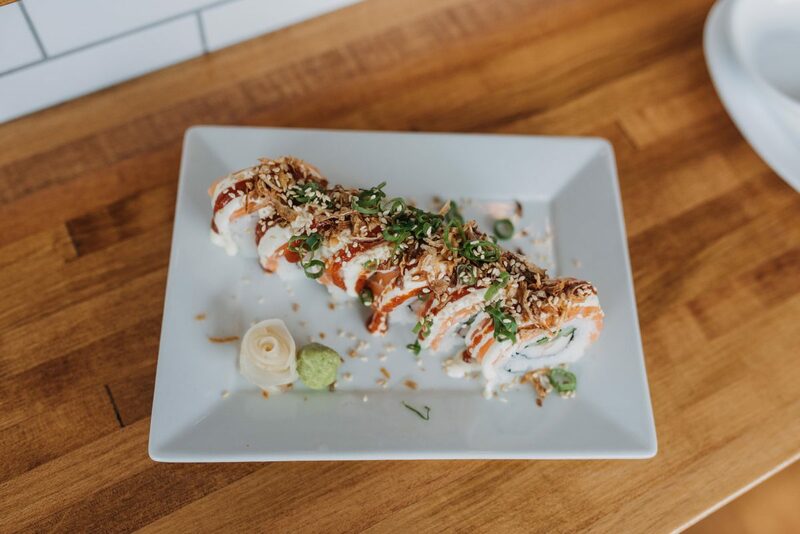 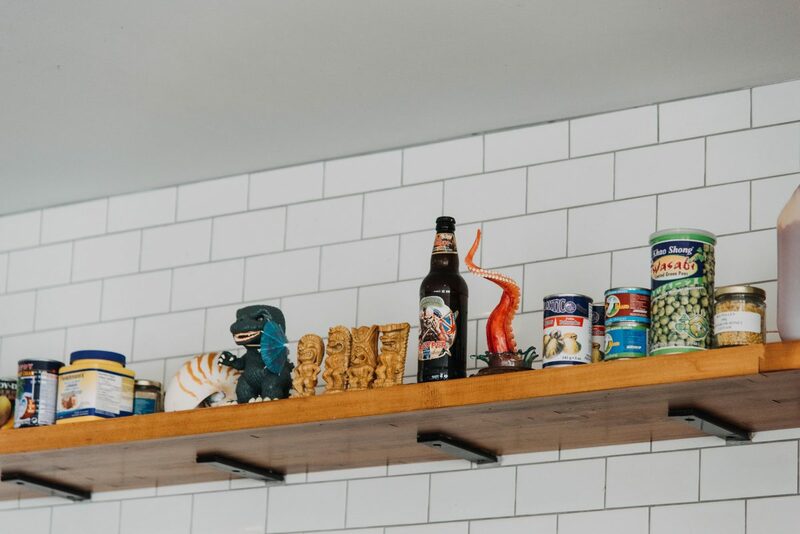 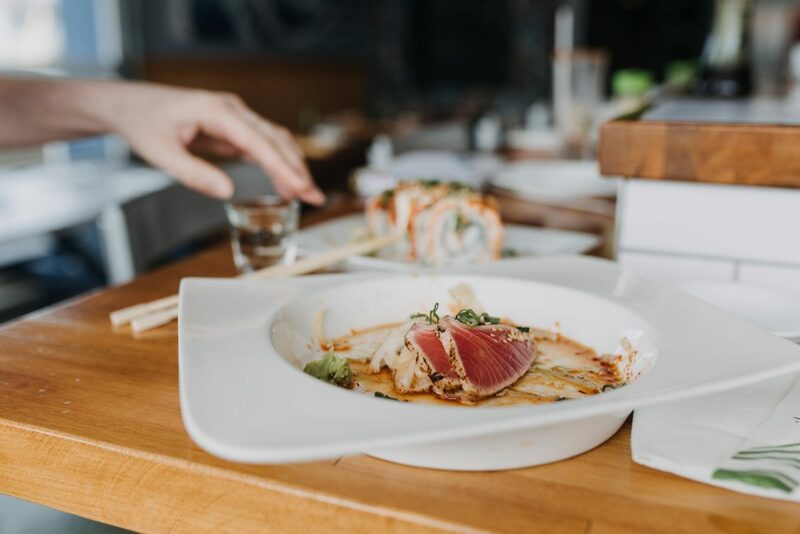 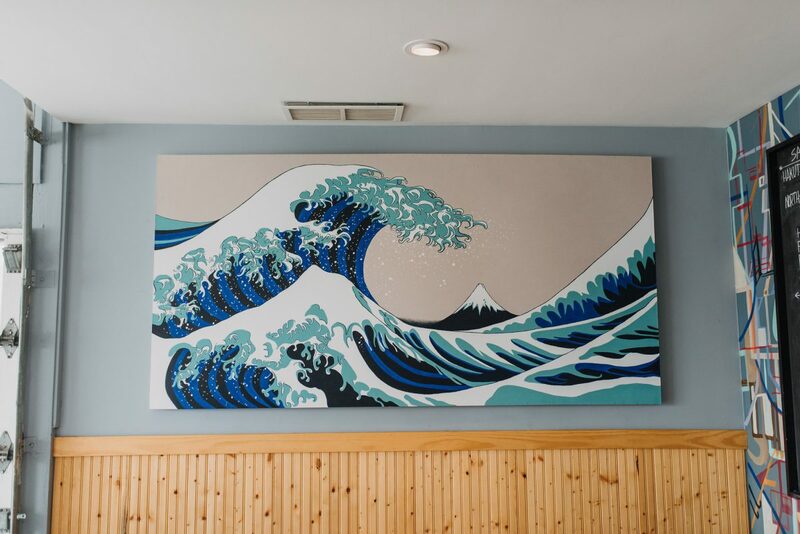 To ensure maximum freshness, the restaurant avoids the take-out sushi scene by encouraging their customers to come in and enjoy their creative menu. 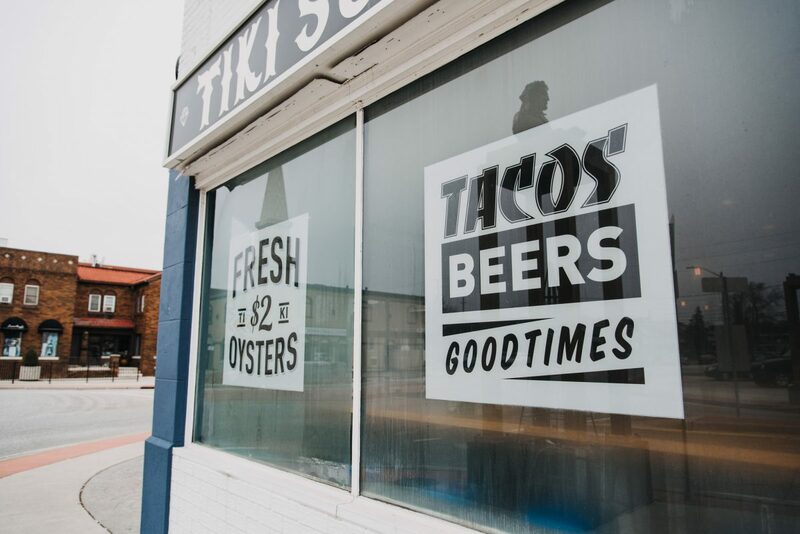 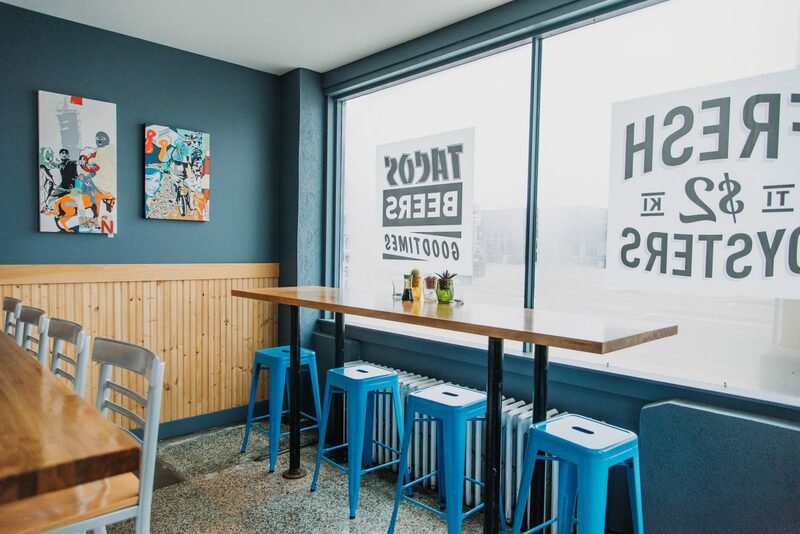 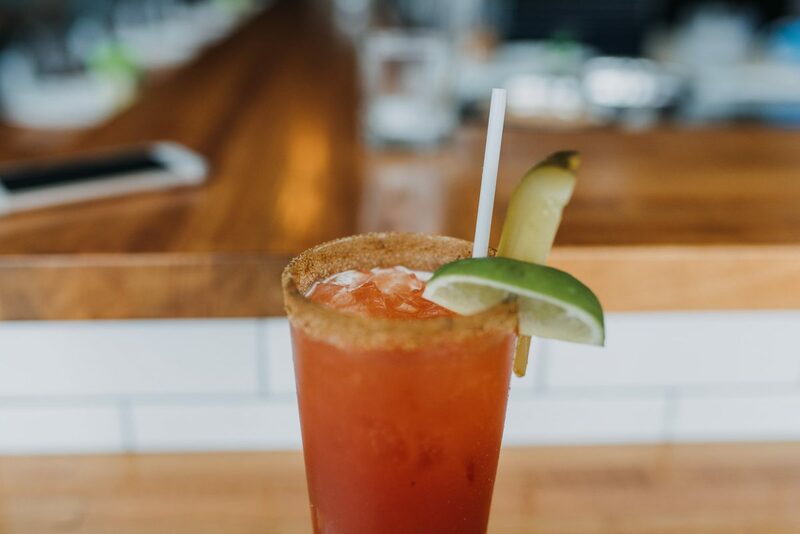 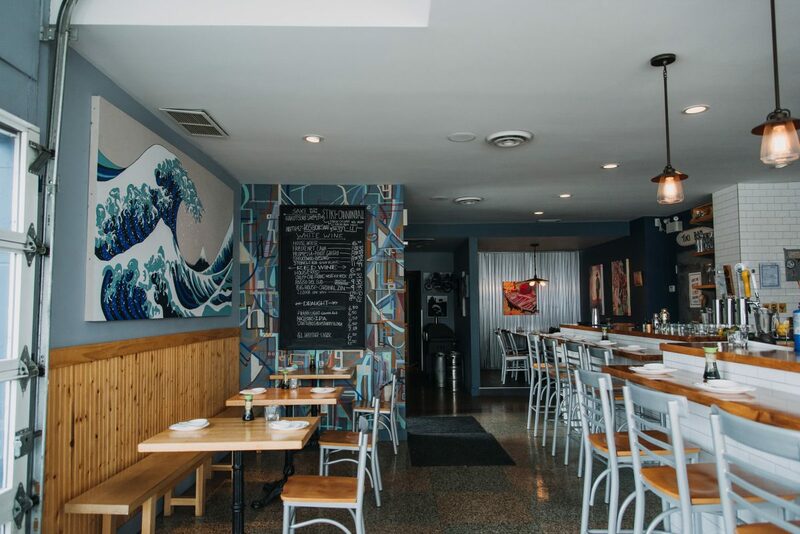 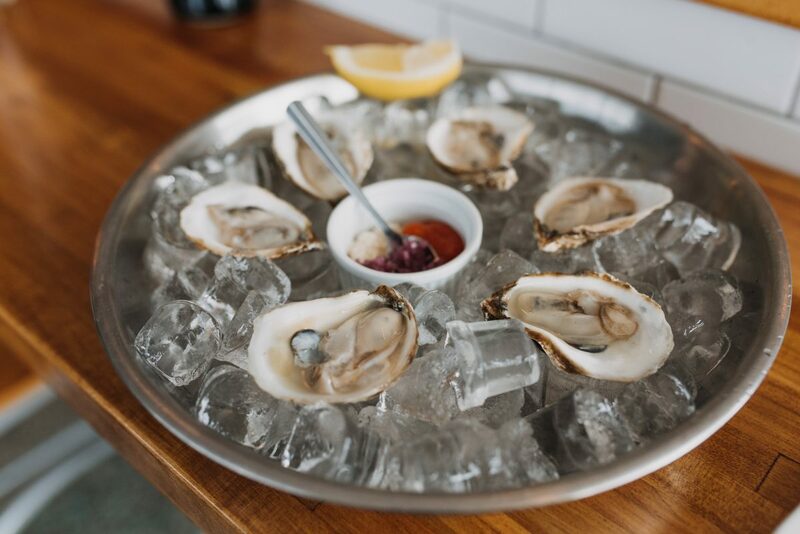 Our favourites are the fish tacos, tuna tataki and PEI oysters that are $2 bucks a shuck and max 2-3 days out of the water. 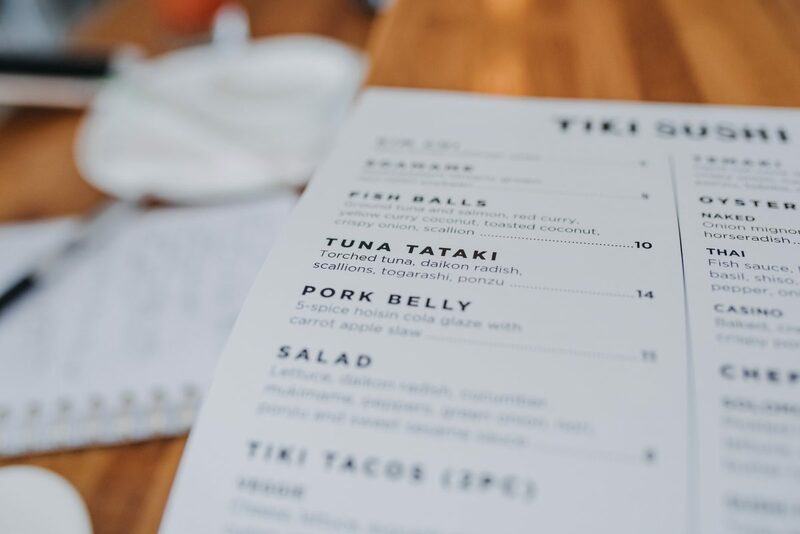 But the Tiki experience isn’t just about the ‘foodie’ food. 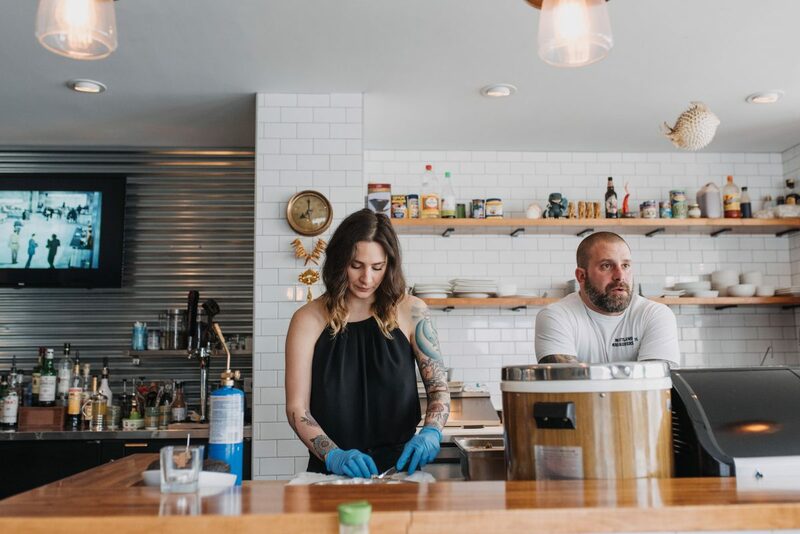 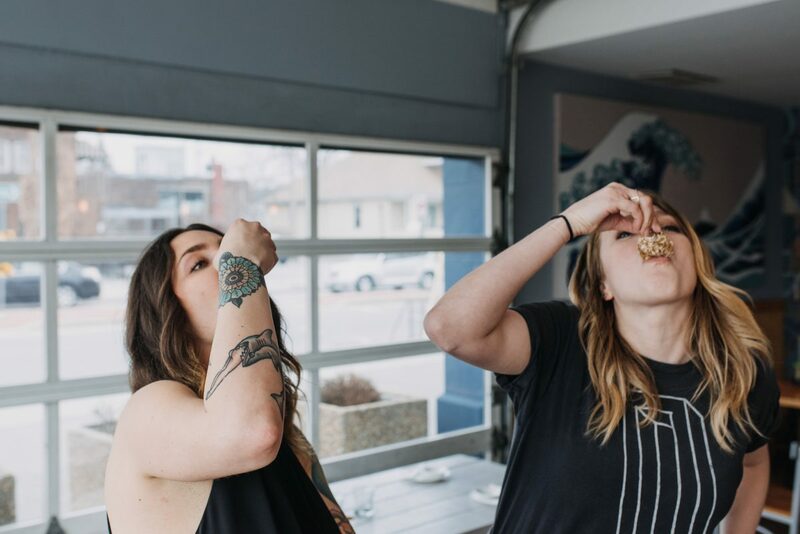 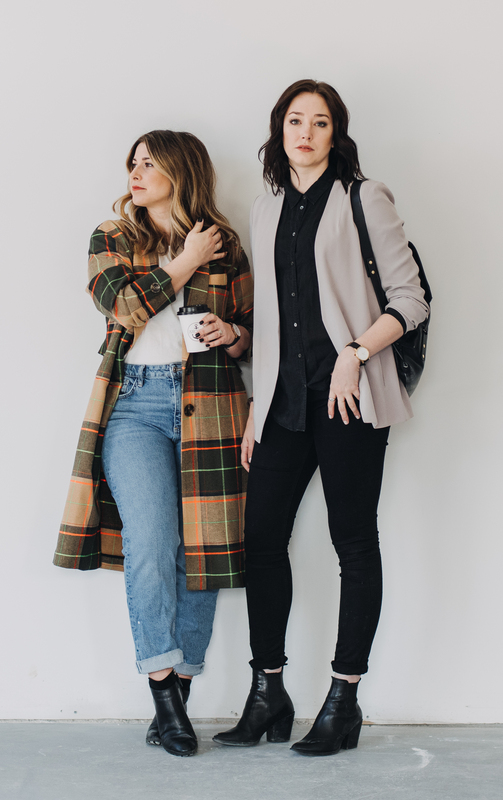 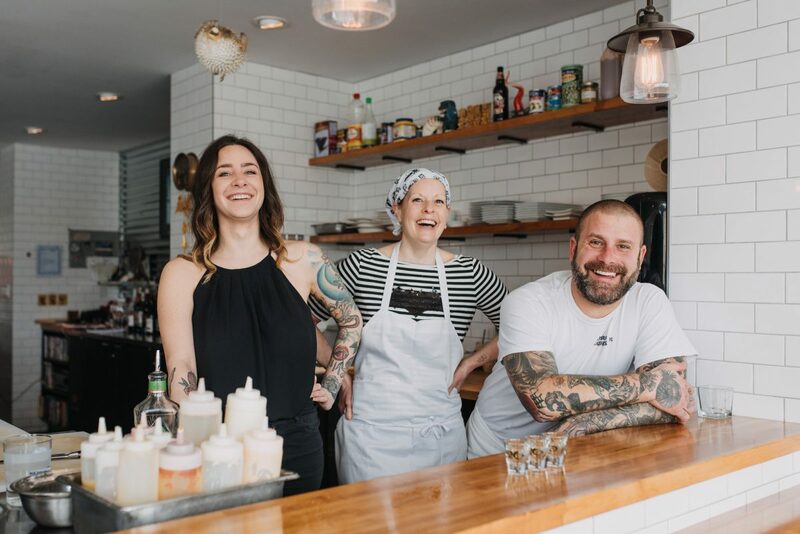 The serving staff, Amanda and DC, are a tatted-up motorcycle band of East Coast-loving, local artists who can always point you in the direction of a good scotch or tequila no matter what time of day it is. 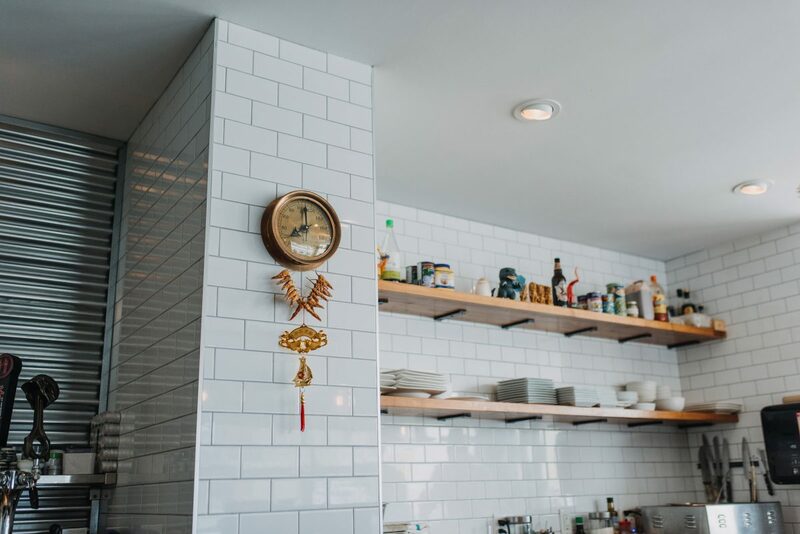 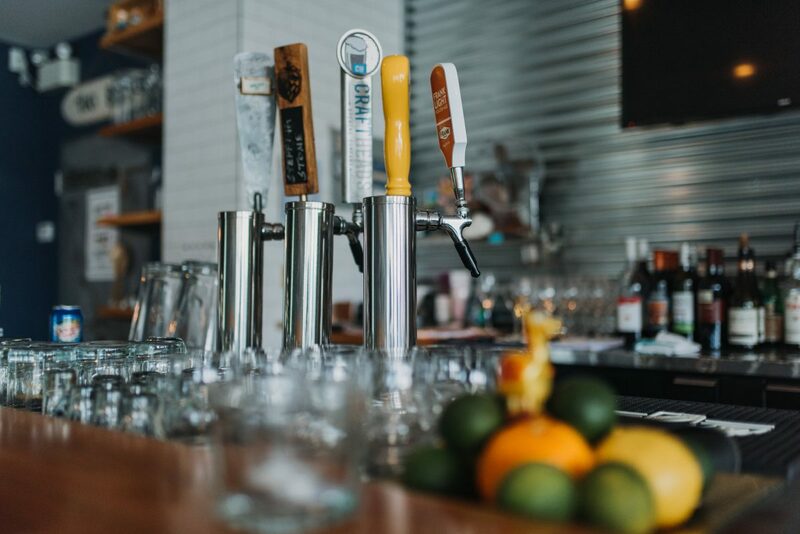 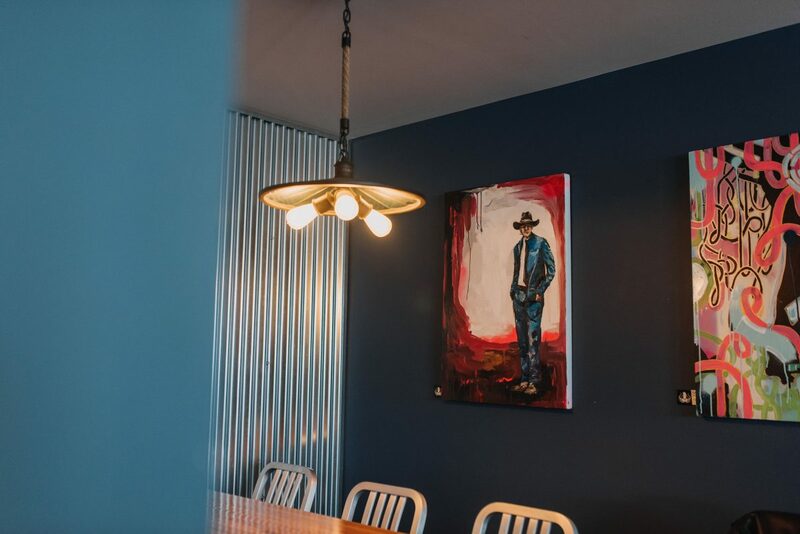 Afternoons can easily float away with conversation at the oversized crudo bar – an open kitchen where the chefs sear, slice and prep as you sample ‘chef snacks’ and their curated selection of local wines like the rosé or prosecco from North 42 Degrees in Essex. 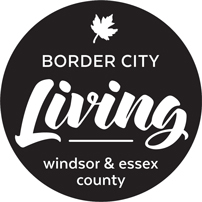 Watch their social media for special events like outdoor BBQs and cooking classes or to get your hands on their line of T’s, hoodies and bandanas. 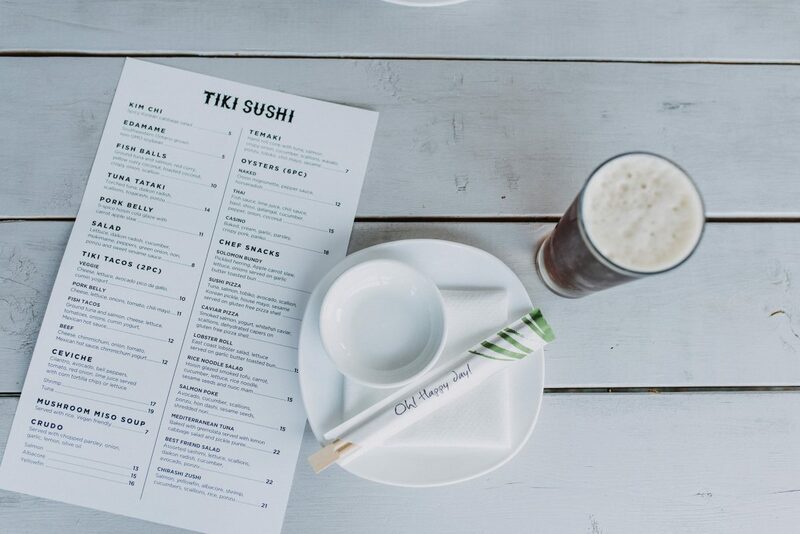 Tiki Sushi is open Tuesday – Saturday 11:30-9pm.